PR Boutique is part of our identity and philosophy. One of the most recognized hallmark of our job, according to our customers. This is a concept of how to work in the public relations domain in Spain. We believe in a very close relationship with our clients. 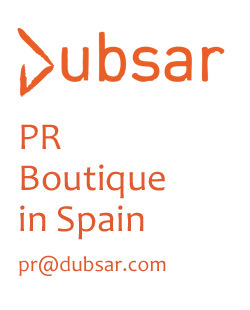 Dubsar PR represents the essence of a traditional boutique, but with a remarkable advantage: we are not expensive. Our boutique approach ensures a tailored service provided by solid professionals focused on your needs. We pride ourselves on nurturing personalized relations with clients, media and stakeholders. A PR Boutique is more than an approach to deal with public relations. Our active listening to you and your company, customized services focused on your requirements, wafer-thin budgets to implement a strategy and consolidate your presence within the Spanish market are included in our idea of managing your communication strategy. It goes without saying that everything highlighted before will thought, designed, discussed and analyzed by our small team of professionals. Dubsar PR is a reduced squad but with big and achievable ideas. We have a small PR agency client service combined with world class practice skills and sector experience. Without endless layers of management and bureaucracy to fight through, decisions translate rapidly into action. We concentrate on personal service to our clients in pursuit of their defined objectives. To ensure clarity and accountability all this is agreed at the outset, and the work we undertake for each other’s clients is formally briefed in, with clear budgets and success criteria. Our task is to deliver results, not PR algorithms. Tailored services based on active listening. Clarity and accountability to our clients. Collaboration and personalized relations with our customers. Strategic planning to deliver your messages within the Spanish market. The members of the Dubsar Team have an excellent background in institutional PR, helping a variety of media across Spain to understand and communicate EU Affairs. Looking for a PR Boutique in Spain? Our boutique approach ensures a tailored service provided by solid professionals focused on your needs. We pride ourselves on nurturing personalized relations with clients, media and stakeholders.